HONG KONG, CHINA - FEBRUARY 07, 2016: Peak Train moving to Victoria Peak for city aerial view. 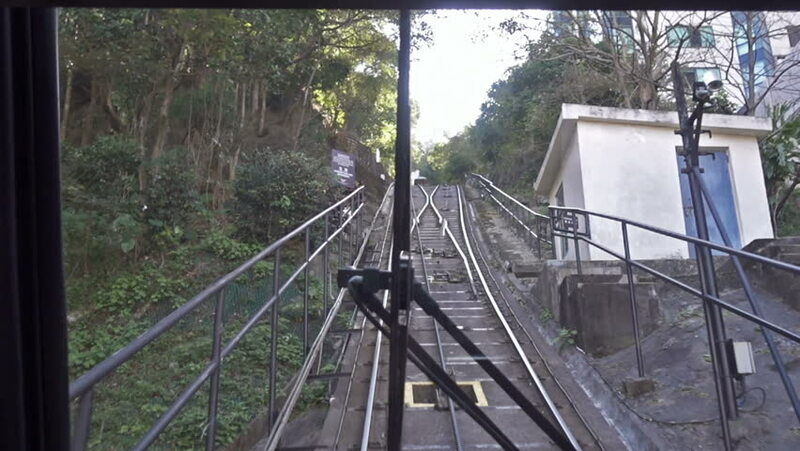 View through the front window of the train. hd00:07Airboat airglider on mountain river Temnik. Clean water and stone rock bottom in spring. Border of Baikal State Nature Biosphere Reserve. Ecotourism in Siberia of Russia.